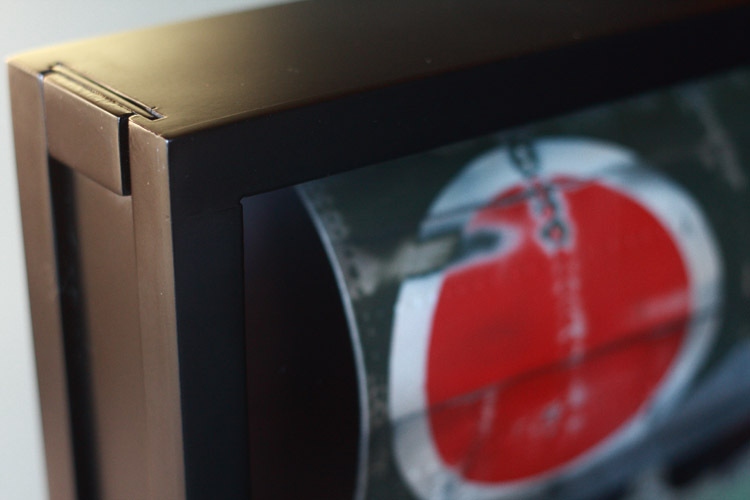 This box set is the last of a series of 3. 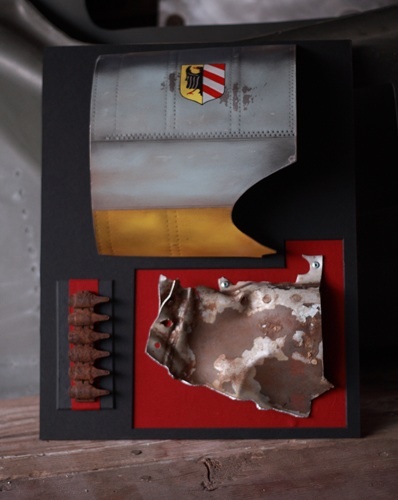 As with the other previous sets this one includes a piece of a 190 wreck (with original paint RLM76+2 red hand painted stripes) recovered in Latvia a few years ago. 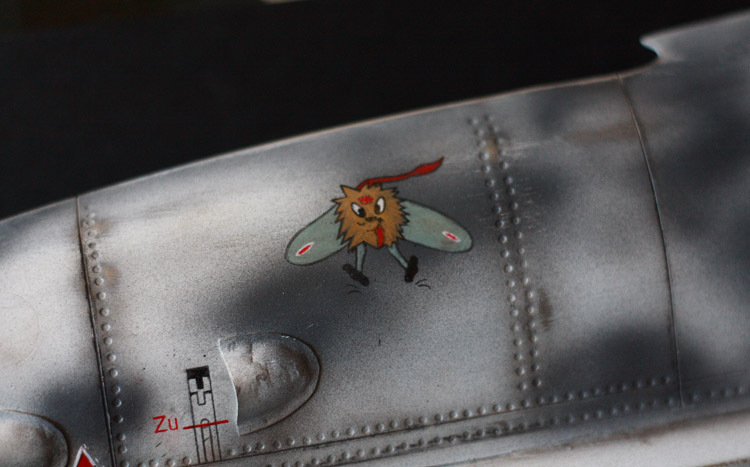 The piece has been traced back to a FW190 belonging to the famed JG54. 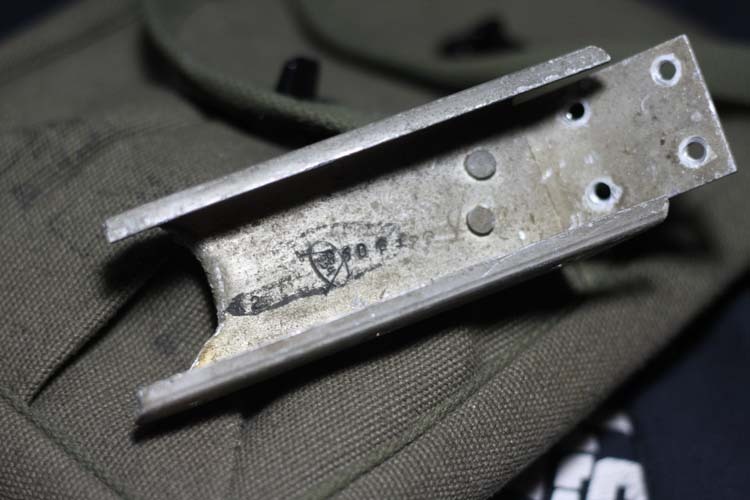 Also inlcuded in the set is 5 MG17 ammo belt links also recovered near an airfield which was occupied by JG54 in World War 2. More details to the collector once the set has been purchased. 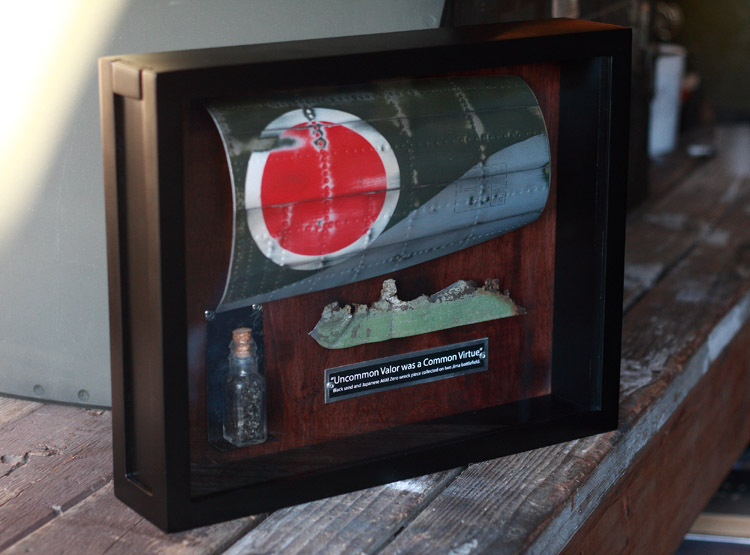 Japanese A6M Zero, sand of Iwo Jima framed Box set. 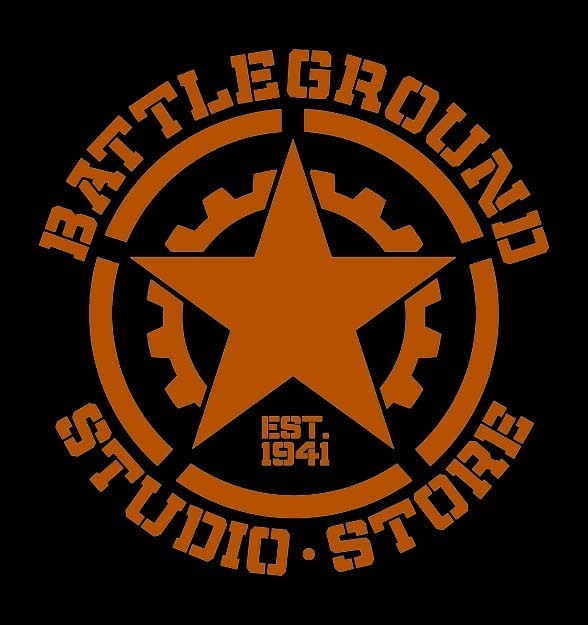 BATTLEGROUND STUDIO is offering this OUTSTANDING box set featuring extremely rare pieces of history. 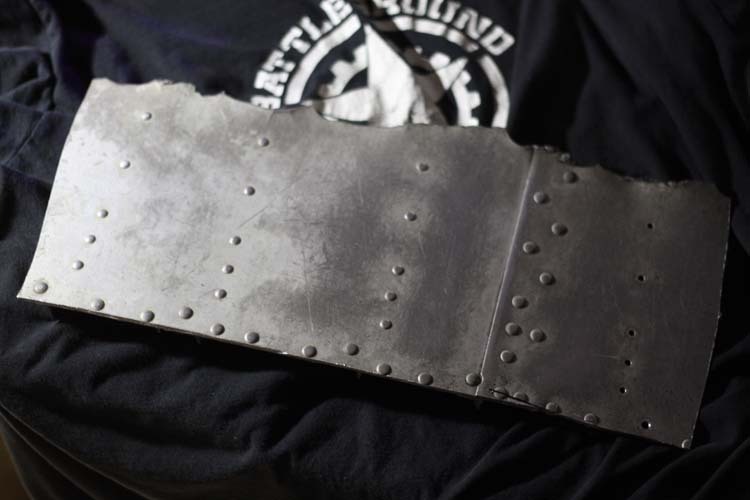 Also included is a limited edition BATTLEGROUND STUDIO exclusive A6M zero fuselage panel replica (approx. 10×6). 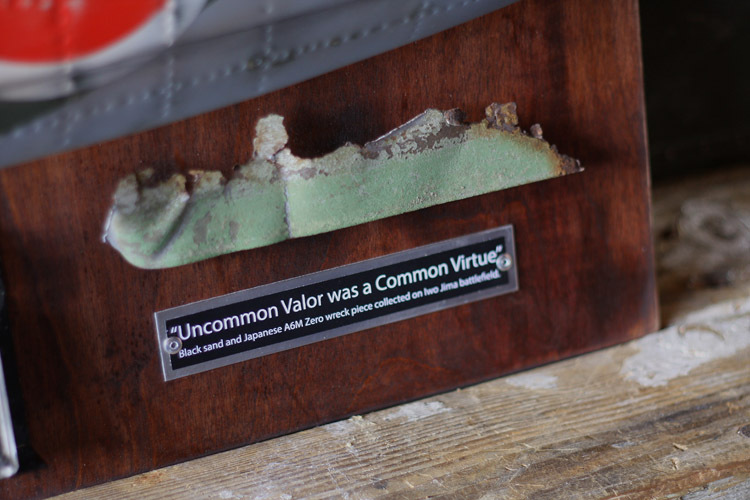 Just like all of our custom panels it is made with aircraft grade T6 6061aluminum, painted with accurate markings, down to the stenciled ID plate and meticulously weathered. 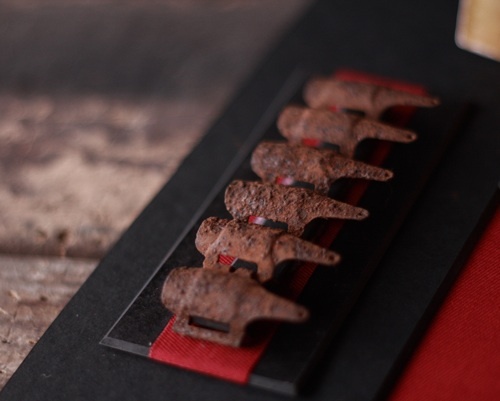 What makes this set so remarkable is the fact that it includes a small piece (approx. 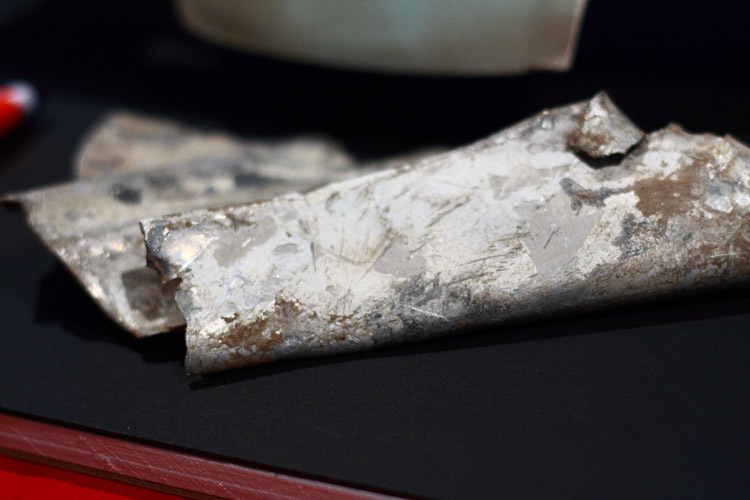 size 1.5×7) of an actual Zero wreck found on the battlefield on Iwo Jima. 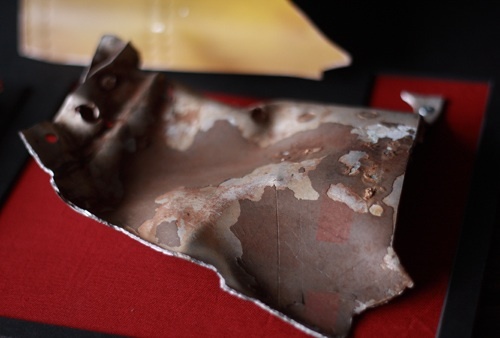 That piece was brought back by a WW2 veteran and carefully preserved until his passing. 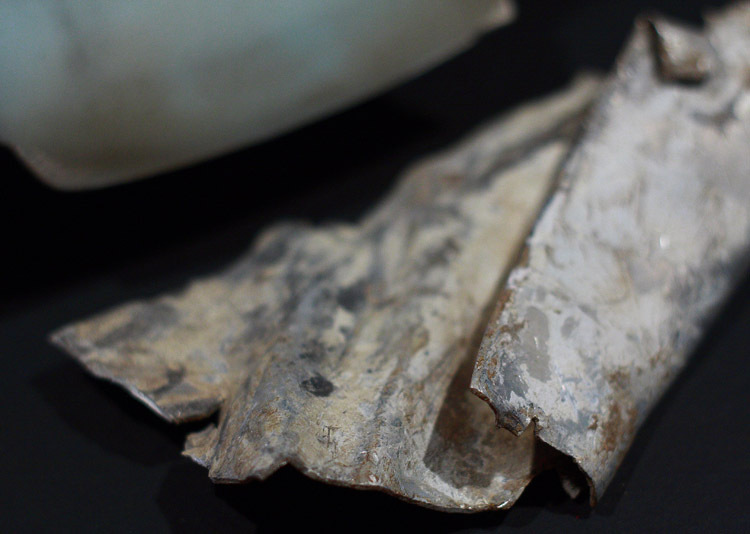 Amazingly, the piece still has most of its original green paint on it. 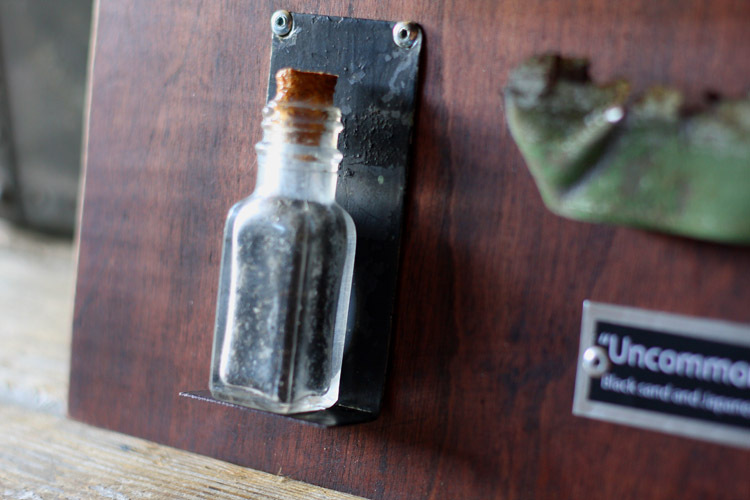 Also featured in the set is a small antique glass bottle (approx. 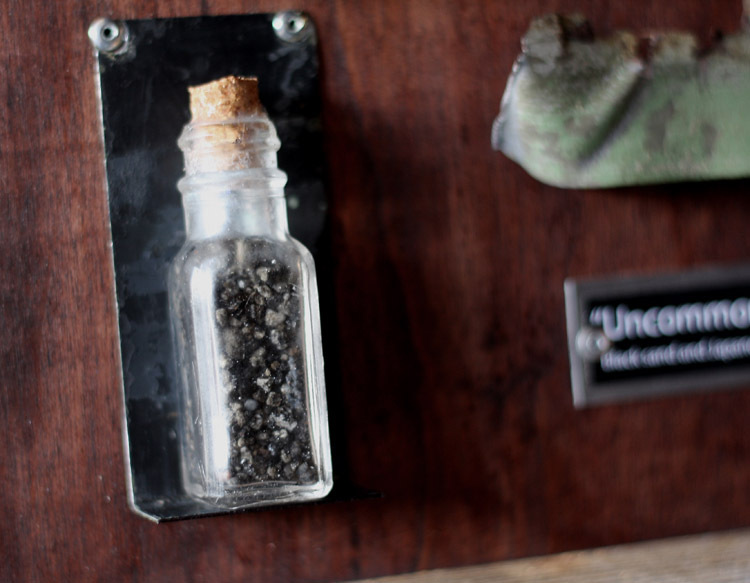 size 3×1) filled with some of the infamous black sand of Iwo Jima. 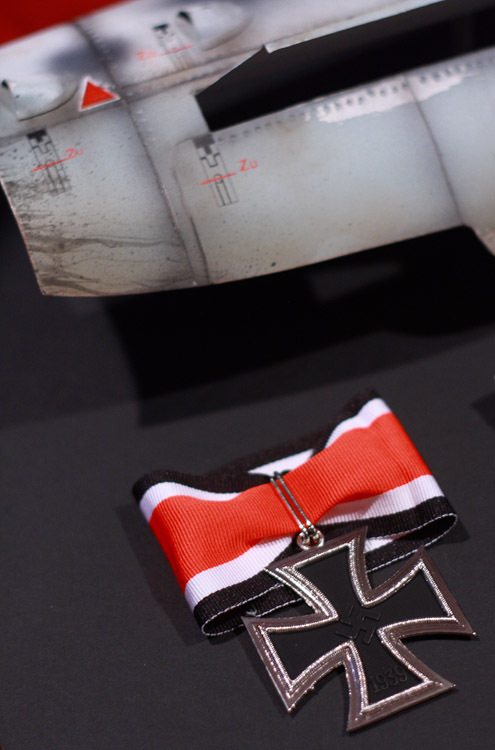 Though we’ve tried to show you the set in pictures we can tell you that no photo can possibly replace holding this set in person. It’s a gem! 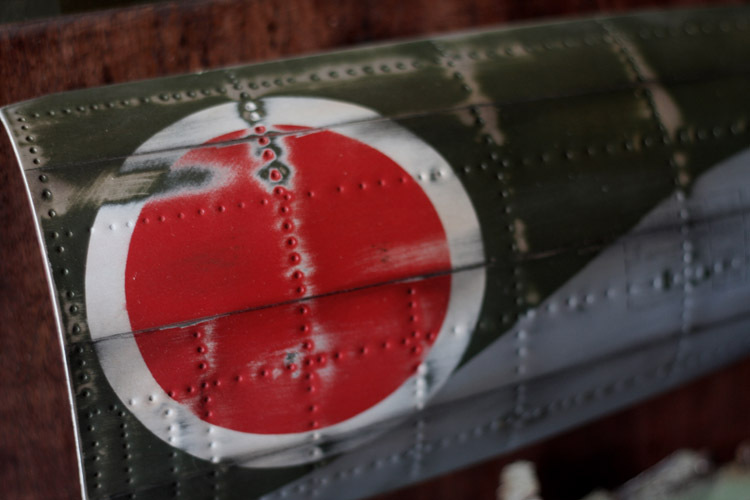 and a one of kind set for any WW2 history collector. The previous box sets we’ve created sold out in our web store in minutes, DO NOT MISS the chance to own this one. History in the making. 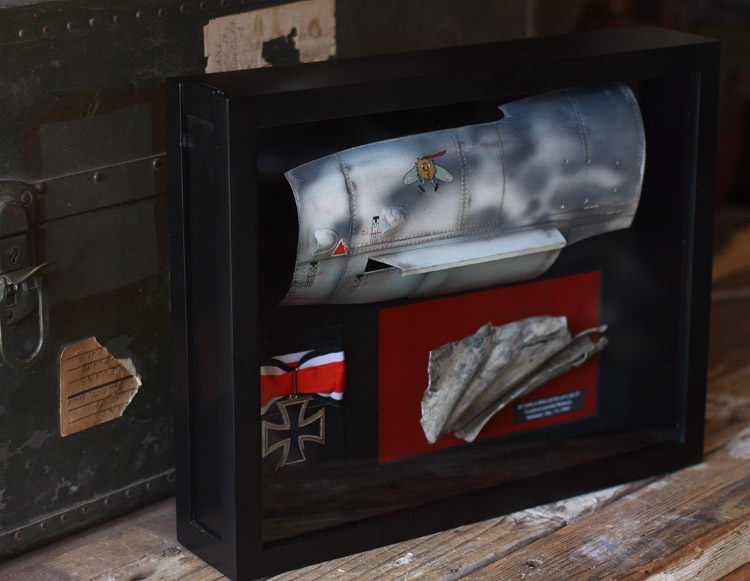 BF109G-6 box set early sale. 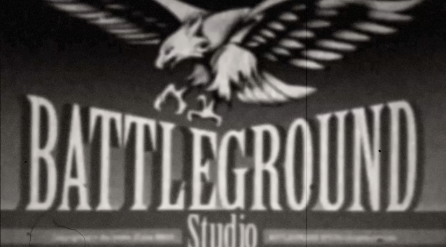 This one of a kind box set will be available for purchase at http://battlegroundstudio.storenvy.com/ Tuesday Oct. 1 at 8am. 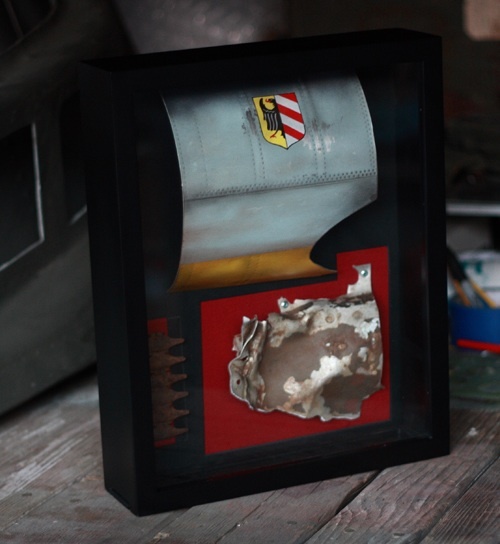 As with every artwork I create I poured all my passion in making this one set and as someone who understands the value in preserving history I made this set with the serious collector in mind, This will make a very unique addition to any WW2 collection. 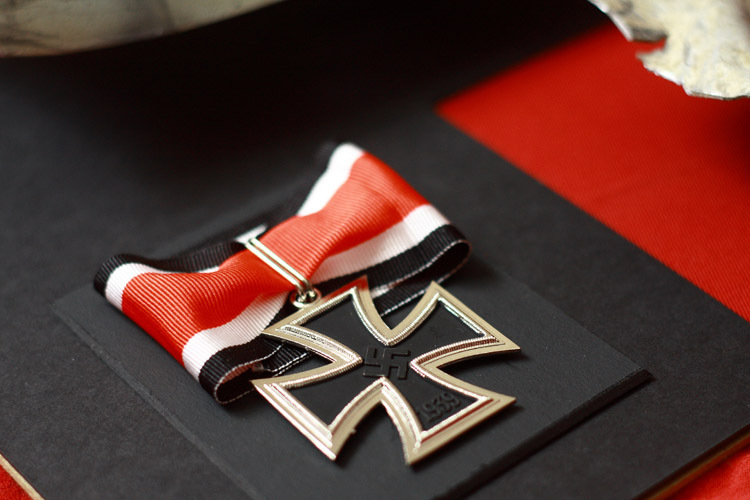 The set also includes a fine reproduction of the Knight’s Cross of the Iron Cross. 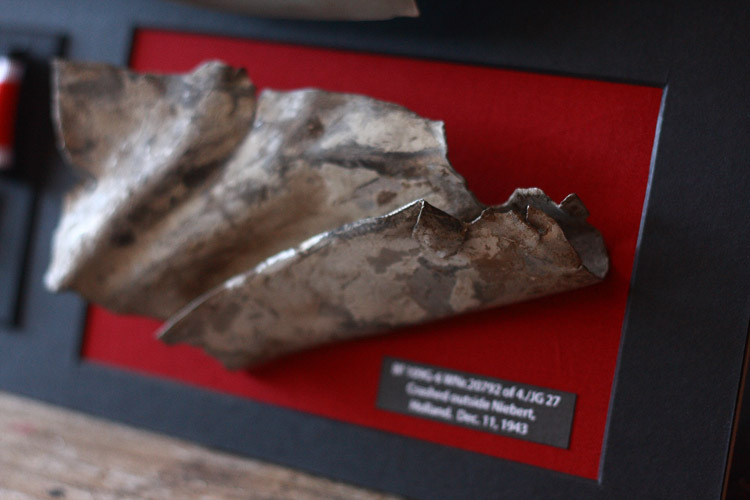 Created for the serious collector, it is much more than a conversation piece, it’s a ” PIECE OF HISTORY”. 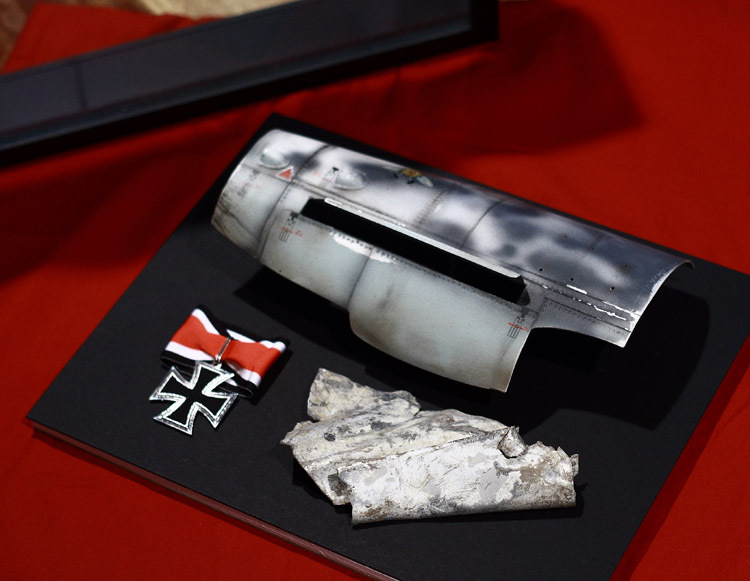 JG54 FW190 wreck piece with original paint. 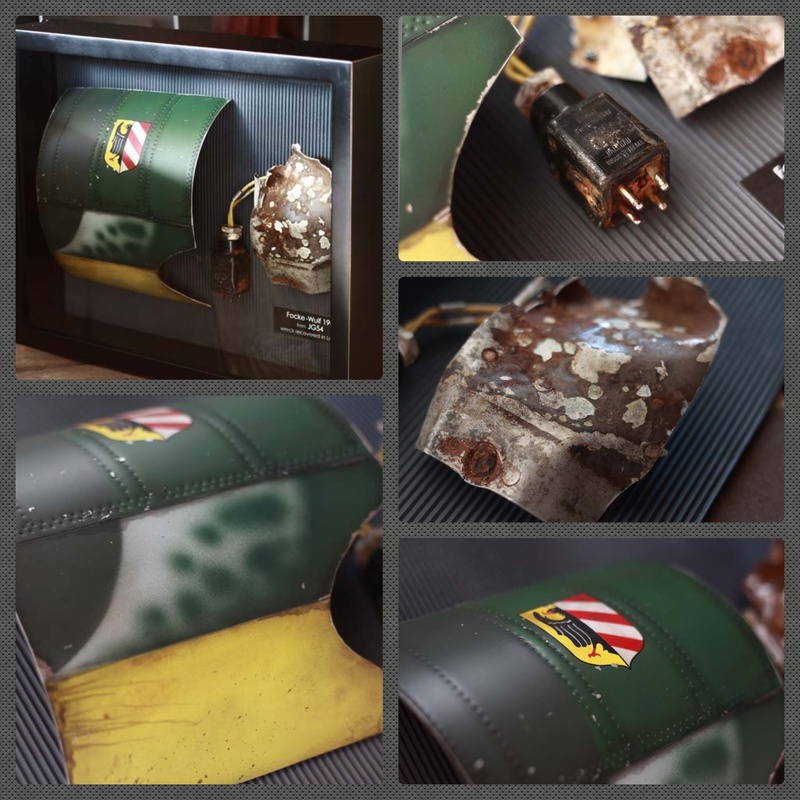 Just like the previous box set, this one also includes a piece of a JG54 FW190 recovered in 2009 in Latvia Not only does that piece still have a good amount of its original paint on it, attached to it is a 4 Prong plug with an outstanding looking Busch & Jaeger logo embossed on it. 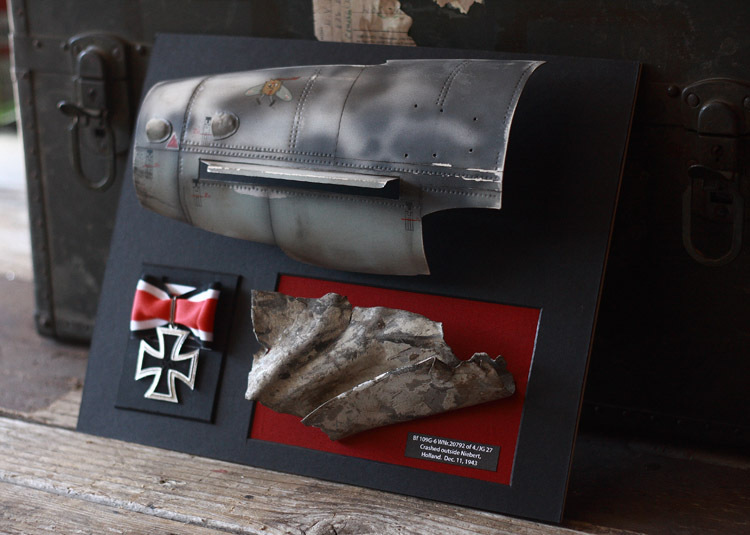 The set is completed with a “BATTLEGROUND STUDIO made” FW190 cowling featuring the JG54 crest. The first set was sold as soon as it was posted on the store. I believe this one will go just as fast. 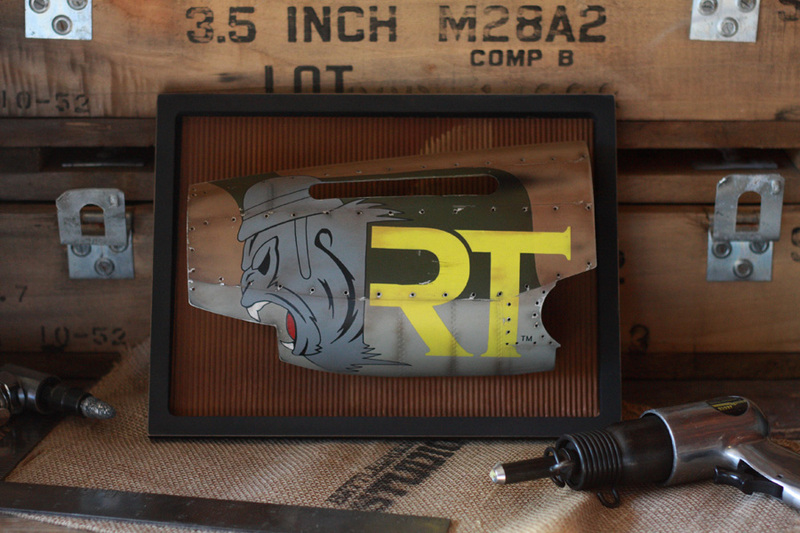 This Limited Edition shadow box set will be available for sale on Tuesday Sept. 10 at 8am. 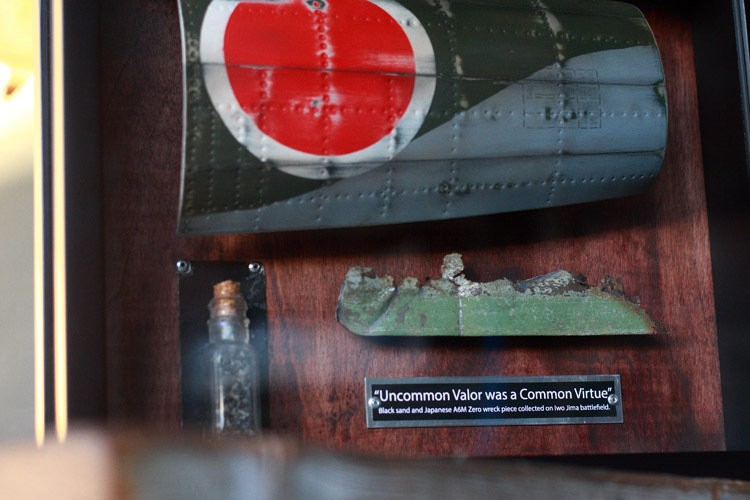 DON’T MISS THE OPPORTUNITY TO OWN A PIECE OF HISTORY! US NAVY flask is done! US NAVY Flask concept. Reinterpretation of an older drawing I did. I’ll be painting this one next. Finally got my hands dirty on this Thimble Drome. Still some work to do on it, I’ll post more progress photos soon.